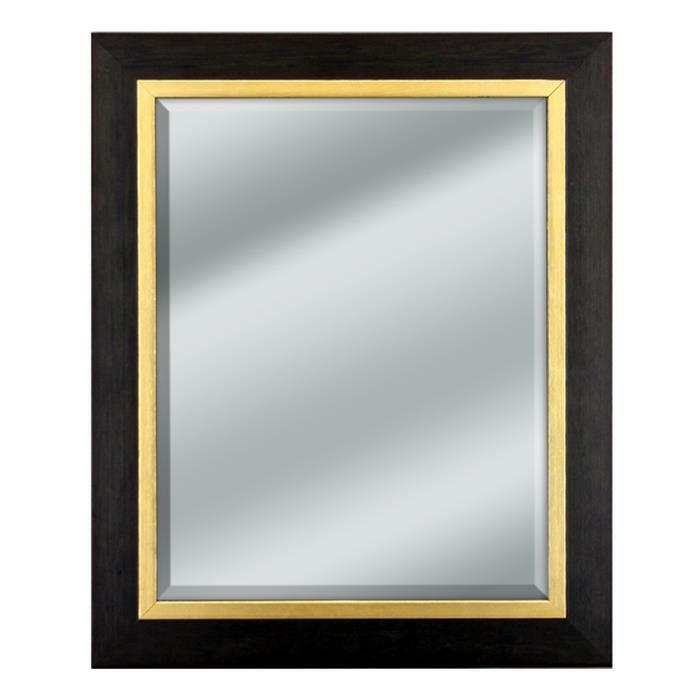 Home → Frame Color → Black → Black Wood Mirror with Gold Trim - 14x17"
Black Wood Mirror with Gold Trim - 14x17"
This 1 ¾" wide frame is beautifully crafted with a black-stained wood. The inner ½" panel is a satin-finish antique gold. Mirror features high quality beveled mirror glass.